This is still available in case you missed out previously! 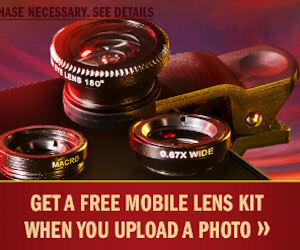 Get a free mobile lens kit from Black & Mild! Register or log in, enter the Kickin' It Sweepstakes (you'll have to upload a photo) and then submit your entry. Available for those 21yrs+, while supplies lasts.